DAY 1: December is here, so it’s time for another Twelve Days of Christmas Cookies! Twelve days of ideas for your Christmas Cookie Plates. 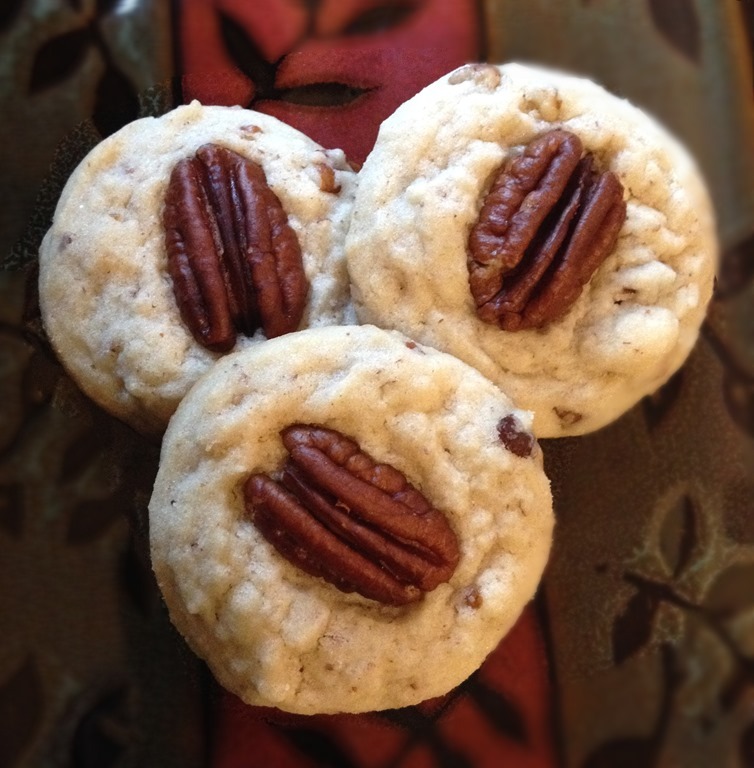 Pecan Sandies are a traditional crispy/crumbly shortbread type cookie. I am usually a soft cookie kind of girl, but I really like these not-too-sweet, melt in your mouth cookies. In a large mixing bowl, combine butter, oil, and sugars. Beat with a mixer until light and fluffy. Beat in egg and vanilla. Add flour, salt, cream of tartar, baking soda and nutmeg and mix just until combined. Stir in chopped pecans. Chill dough for 1 hour. Use a SMALL cookie scoop to make rounded balls (about 2 tsp dough). Place on ungreased cookie sheets. Press 1 whole pecan into the top of each dough ball. Bake for 8-9 minutes.